The Google Sailfish, along with the Google Marlin, are two HTC built devices that will either be the next Nexus models, or will kick off a new Pixel handset line. If the latter is true, the smaller Sailfish would be called the Google Pixel. The Marlin would then be called the Google Pixel XL. Today, a video surfaced that takes us on a 360 degree video tour of a Sailfish render. From the video, we can see that the Sailfish sports a USB Type-C port and has a pair of stereo speakers on the bottom of the phone. While the 3.5mm jack isn't seen in the video, HTC did not copy Motorola or Apple. The earphone jack can be found on the left edge of the frame when looking at the phone's screen head on. The Sailfish is rumored to feature a 5-inch to 5.2-inch screen with a 1080 x 1920 resolution. Under the hood is the Snapdragon 820 or 821 chipset with a quad-core CPU and the Adreno 530 GPU. 4GB of RAM is inside along with 32GB of native storage. A 12 MP camera adorns the back of the unit, while an 8MP selfie snapper graces the front of the phone. A fingerprint scanner is found underneath the rear camera, and a 2770mAh battery keeps the lights on. Android 7.0 is pre-installed. The Sailfish and its larger sibling are both expected to be unveiled on October 4th. I looks look like an uglier version of the ugly iPhone with the home button on the back. Puke Puke. No phone comes close to the best looking phone of all time. The BOSS Note 7. I really like nexus devices , but why do they keep so less battery in smaller nexus. A 5 inch device should have at lest 300mah battery . Whether amoled or ips. If you had used nexus 5 and 5x, you would have known why atleast 3000 mah battery matters.it is my personal experience. Even with doze mode you cannot rely on it to give even 18-20hrs of battery backup on moderate usage. Fast charging is good. But you cannot carry it everywhere. And one more thing on nexus 5 and 5x , you do not need a bug to eat away your battery life. By default battery drains like water. Being a nexus fan I hope Google will fix that with pixel. I've lost 5% battery on my Nexus 6P after Doze was running for 7 hours overnight. If Google can fix the issue with Doze not kicking in while the phone is in motion then the Nexus phones could easily last me 2+ days. But as of right now, I'm lucky to get through a single day with the way Nougat is draining my battery. Bro it is a cool looking device. It looks like an iphone bcoz apple has taken the design cues from HTC M8 at the first place. Apple being a popular company, didn't came under the radar. But htc not being as much famous, went unnoticed. Bullcrap. I don't give a s**t about stereo speakers. The speakers on my OP3 are loud and great for ringtone and alarm. I don't use my phone speakers for anything else. And this is coming from an audiophile who has a 50GB collection of FLAC songs, an M50x, 3 sets of stereo speakers and wireless speakers. If I want to hear songs on my phone, I just turn Bluetooth on and hear from my Bluetooth speakers which are much better than any smartphone. Camera is better than most other phones including the S7.It also has proper manual controls unlike the gimped nexus camera. Also it doesn't take 3 seconds to take an HDR picture like the 5X or 6P. Talk about audiophile using bluetooth? Then you dont know quality of sound, no way you will get the same audio quality on a bluetooth speaker than using the the aux with audio amplifier simple. in your dreams buddy!/ my op3 is beast! Bro which iphone you are talking about? Where does apple has adopted the front steareo speakers ideology? Please enlighten us. I am not aware and didn't find this news anywhere. Please share your resourceful news site with us. In my part of the world iphone 7 plus doesn't have front facing speakers. Apple might have secretly launched a special edition for your region. He is talking about the new configuration of the iPhone speakers with the bottom and the other routing sound through the top. As long as a speaker is loud enough to wake me up in the morning and hear it ring throughout the day I'm good. Unless you want to be one of those douches that plays their "music" full blast so everyone thinks their super cool. I think October is way too late to release a smartphone, many people have already bought the iPhone 7/plus. whatever they end up calling it, for me it's always going to be a NEXUS. It's the same as this phone just larger. Everything about the two phones will be the same except for the size and screen resolution. No they both have different design. Are you sure both are same? Proof? I don't think there's a reason to upgrade but I do so anyway because I like having the latest Nexus. I think you'll have to wait until early October when Google unveils the phone before you can make that decision. 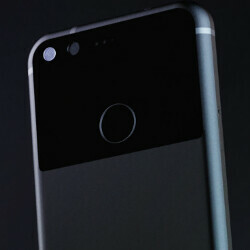 It will be similar in specs, I imagine that the base storage will go up to 32 GB this time and I'm sure that this latest model will be Daydream compatible whereas last year's Nexus phones might not be.... then their's the fact that this is a Pixel phone, not a Nexus phone so any distinguishing characteristics that set them apart including a nonstock modified OS with unique features might be something you consider. Just remember that there's more to user experience than processing power.